Traveling to any new place of the country is really exciting and traveling to a dazzling country adds a spoonful of happiness in the vacation. Sri Lanka is one of the magnificent destinations that entice people a lot. Its monuments, hill stations, beaches, national parks and many more places are the reasons due to which many people captivate to this place for a long time. Many of the picturesque holiday destinations are there in Sri Lanka that draw most of the people from across the globe. 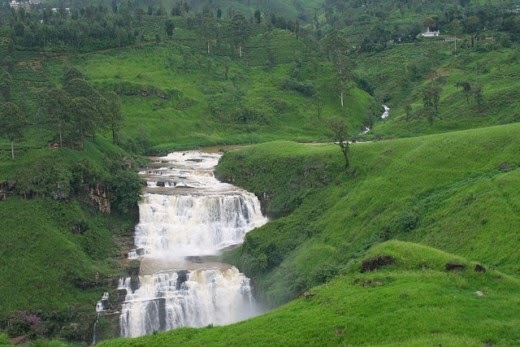 Devon Falls is a famous waterfall in Nuwara Eliya district of Talawakele. The name of the fall named after a leading English coffee planter called Devon. His plantations were situated nearby the falls and so the name is. It is 97 meters high and ranked 19th highest on the island. It is stationed at 1,140m above the sea level. 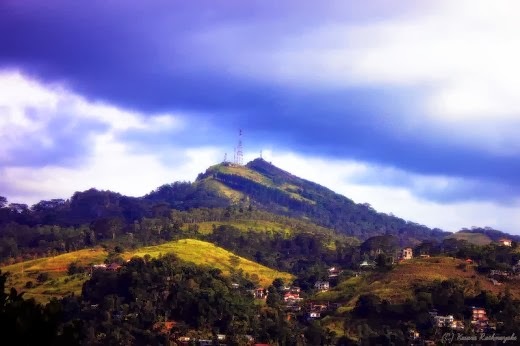 This mountain range lies in the south-west of the city of Kandy, Sri Lanka and consists of seven peaks. Uura kanda is the highest among the seven peaks. In 2010, it was declared as an environmental protection area under the national protection act. The total height of this mountain range is 3800 ft. It is the favorite destination among the trekkers or hikers. There, the nature is outstanding. Floral and faunal species are in a large number. 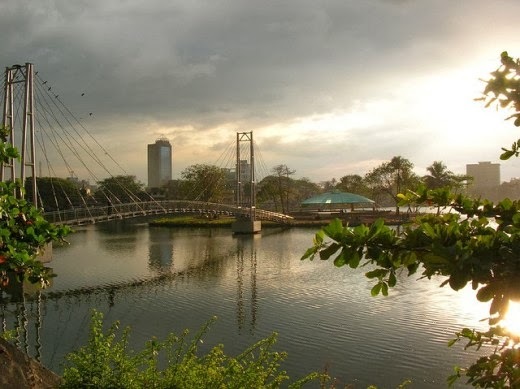 This Lake is situated in the center of the city of Colombo, Sri Lanka. Many important businesses have surrounded it. Approximately 165 hectares of land had been occupied by this lake about 100 years ago, but now it has been reduced to 65 hectares due to multiple reasons. In ancient times, this lake was used to transport goods within the city. It splits into two lakes namely the Lesser Beira and the Greater Beira. Both the lakes have numerous species of colorful fishes. Udawatta Kele Sanctuary, a forest reserve located on a hill-ridge in the Kandy, Sri Lanka. It extends about 257 acres in area. 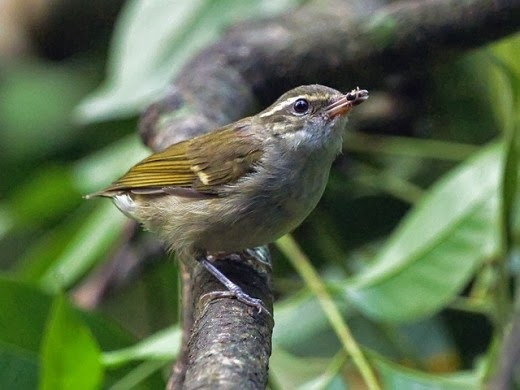 The whole sanctuary is famous for its avifauna. 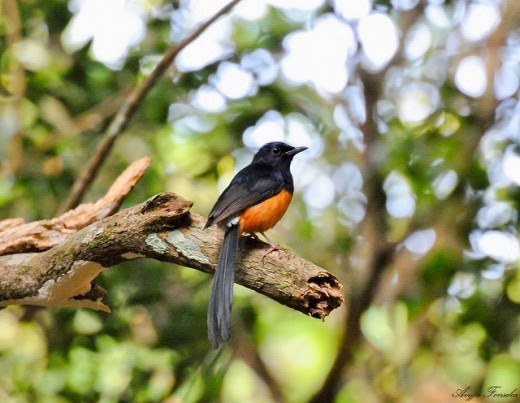 Around 80 avifaunal species have been listed to be there in the sanctuary. Many plant species, mammals, reptiles inhabit in this sanctuary. Plant species include both the flowering plants and the non-flowering plants. This sanctuary also encompasses three Buddhist monasteries. Monks enchant there in a large number. 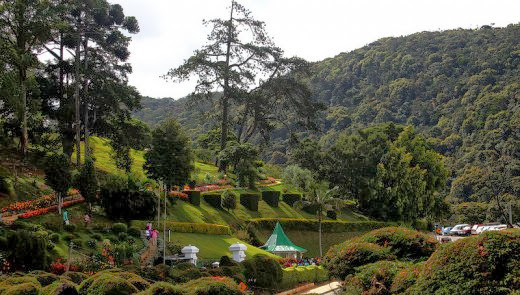 This garden is one of the best three gardens of Sri Lanka and also the second largest garden in the country. 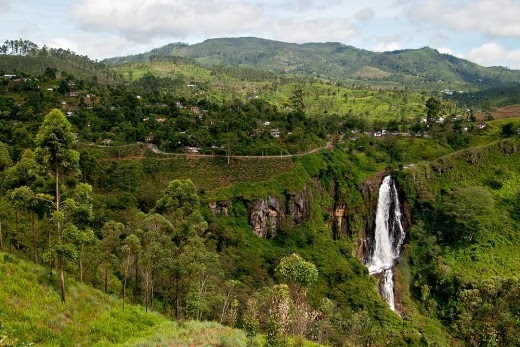 It is located on the Nuwara Eliya road. It has a cool climate and natural location enthralls everyone. It was established in 1861 to take the experimental cultivation of Cinchona tree but, after some time, due to excess of tea in that region, Cinchona was replaced by Tea and it becomes an experimental Tea Cultivation garden. In the folklore, it was said that the Sri Lankan King Ravana after abducting the Sita, kept her in this garden. Even this place is mentioned in the Ramayana as Ashok Vatika. Also a temple named after Seetha (Seetha Amman Temple) is located one kilometer away from the garden. 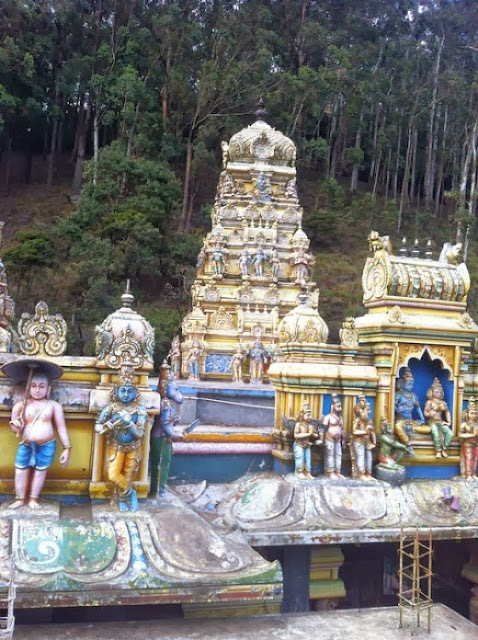 Thus it is an important destination to cover in the Ramayana trail in Sri Lanka. Over 10,000 species of flora are planted there and mostly famous for the species of Orchids and Roses as they are planted in a large number. Wilpattu National Park is the other attraction on this island. The exclusive aspect of this park is the existence of Natural Lakes, sand rimmed water basins that naturally fill with rainwater. About 60 lakes and tanks spread in all over the park. This park is the largest and oldest in the whole Sri Lanka. Many species of flora and fauna exists there. Different species of Mammals, Reptiles, Aves, etc. can be seen there. Galle Face Green, a long stretch of lawn facing the sea located in the heart of the Colombo, one of the top five cities of Sri Lanka. It was laid out in 1859 by the Governor of British Ceylon and basically used for the horse racing and as a golf course. 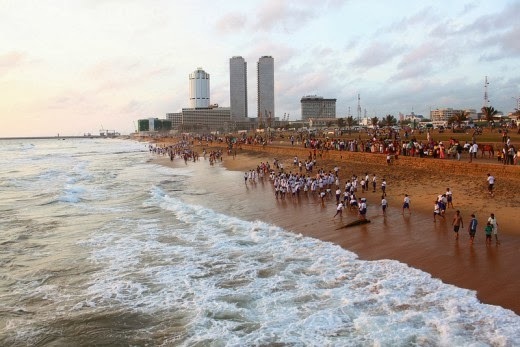 Currently, it is a 5 hectare stretch and is the largest open space in the Colombo. It is a popular destination among children, lovers, teenagers, merchants, peddlers, kite flyers, etc. It is really a rendezvous spot. 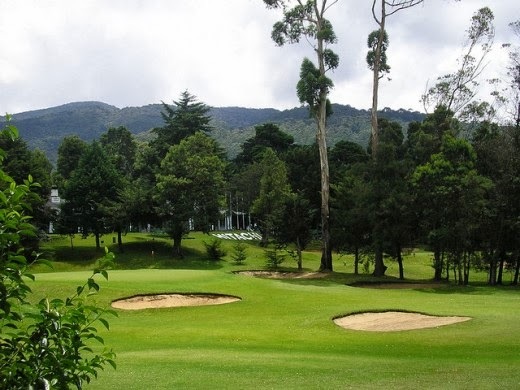 It is one of the oldest and the only 18 holes Golf Club in Nuwara Eliya, Sri Lanka. Nuwara Eliya, a famous hill station founded by Samuel Baker. It is famously known as the Little England. This Nuwara Eliya Golf Club spans across the 100 acres of land. It was built by a Scottish soldier of the Golan Highlanders for the British servicemen. Playing the game on this course’s grass is really a fascinating experience. Sri Pada means sacred footprint, well known as Adam’s Peak. Sacred footprint refers to the footprint shaped mark at the peak, which is believed by Buddhists to be that of the Buddha, Christ & Islamic traditions believe that it is of the Adam and the Hindu believed that it is of Shiva. 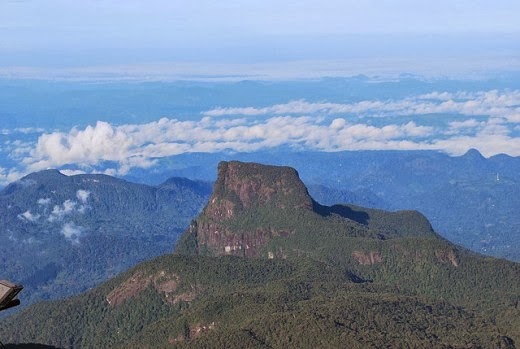 It is a tall mountain of 2,243 m height and is centrally located in Sri Lanka. The footsteps are covered by a beautiful roof and are guarded by the priests as it is the important pilgrimage site. Climbing up the mountain at night is a different experience. So, one can feel that experience over there. The surroundings of this region are heavily forested. The area along the mountain range is a wildlife reserve as it houses many species of leopards, elephants and many endemic species also. 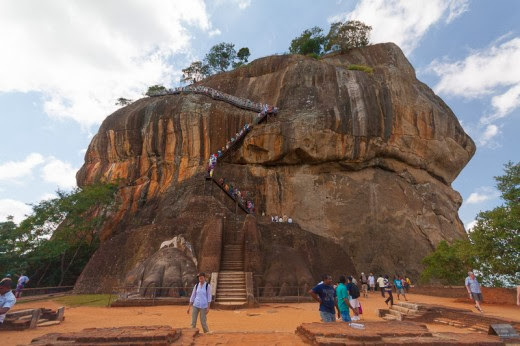 Sigiriya (Lion Rock) is one of the famous historical monument and one of the heritage sites of Sri Lanka. It is located on the top of the rock and shaped like a lion so named it as the Lion Rock. It is listed in UNESCO World Heritage Sites, so it is one of the most visited sites in Sri Lanka. The environment around the rock shows that the nearby area was inhabited by Buddhist monks and ascetics of ancient times. The site is both a fortress and a palace. The grandeur of the palace still provides a stunning look and describes itself the creativity of its builders. It is considered as a site showing the best urban planning in the first millennium. Looks very nice there...... i like the photo's. Srilanka is magical! Beautiful shots - especially the bird's close-up! I recently bought some tea from Sri Lanka and have been enjoying it. Looks like a wonderful place. These places really are very picturesque! Very impressive and so beautiful! Thank you for sharing! 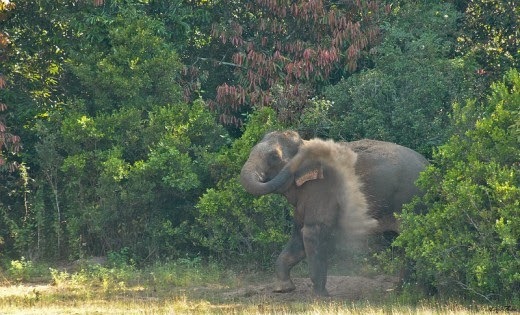 The elephant spraying dust over his body is very beautiful! A great picture. Excellent, I like these wonderful pictures, beautiful scenery! What a beautiful place- I love the waterfalls! what a great place!! someone get that bird a napkin!! I love the mountains and mountain ranges---but oh how I love that waterfall. AMAZING…. Thanks for sharing. Beautiful shots. I love the animals, waterfall, bridge and architecture. Gorgeous photos. Amazing views...and beautiful birds! This is a country I have always wanted to visit - one day perhaps. Those are some incredible views. That last shot is incredible. Thanks so much all my friends! !